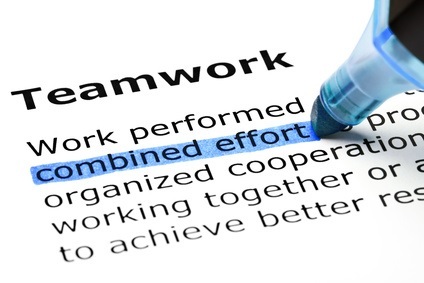 Interested in what it takes to form a successful teaming arrangement or joint venture? If so, then be sure to put GTPAC’s April 11, 2019 free seminar on your to-do list! Teaming agreements can make or break a business. 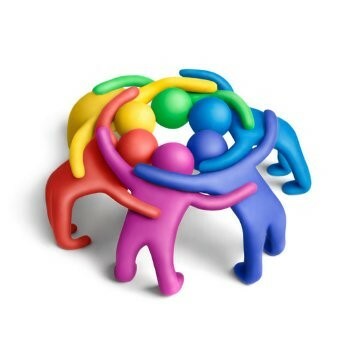 Our April 11th program — held from 9:30 am until noon — is designed to help new and experienced business owners understand the various types of teaming structures, the state and federal laws that impact teaming relationships, and the most common teaming agreement clauses that create risk (or shift rewards) for the parties. Our presenters include three very experienced attorneys who counsel government contractors — including Mary Donne Peters, a former federal prosecutor; Amy C. M. Burns, a former senior attorney at the Georgia Attorney General’s office; and Mike Gorby, an experienced litigator, author and lecturer. Don’t wait to sign-up for our Teaming and Joint Venture Agreements training seminar! For more details and to register, visit: https://gtpac.ecenterdirect.com/events/8672. Space is limited. A recent Virginia Supreme Court case underscores the hurdles government subcontractors may face when they seek to enforce common teaming agreement terms (see: CGI Fed’l Inc. v. FCi Federal, Inc., No. 170617 (Va. June 7, 2018). This case of the “disappearing workshare” also illustrates that strategic choices made during teaming agreement negotiations and in litigation may dictate whether the subcontractor has any recourse against the prime contractor. In 2012, CGI signed a teaming agreement with FCi to jointly prepare a proposal for a State Department contract for which FCi would act as the prime contractor and CGI as the subcontractor. FCi retained exclusive rights to finalize the proposal and negotiate any resulting prime contract with the government. The teaming agreement said CGI “will receive” a 45% workshare of the awarded total contract value, but the “commitment may not be exactly 45% each year,” and it required the parties to enter into “good faith negotiations” for a subcontract after prime contract award. 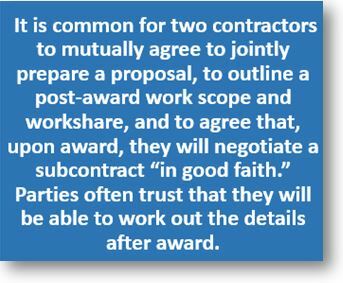 If the parties could not mutually agree on a subcontract within 90 days after award, the teaming agreement would expire. CGI and FCi worked together on the proposal for three months. The government identified weaknesses in the proposal and invited a revised proposal. CGI agreed to help FCi with the revised proposal if FCi committed to give CGI a 41% workshare and ten management positions on the resulting project. The parties signed an amended teaming agreement with those new terms, but the other terms of the original teaming agreement did not change. With CGI’s help, FCi prepared a revised proposal to the government. The government awarded the prime contract to FCi, but a competing bidder filed a series of protests. Are two businesses better than one? 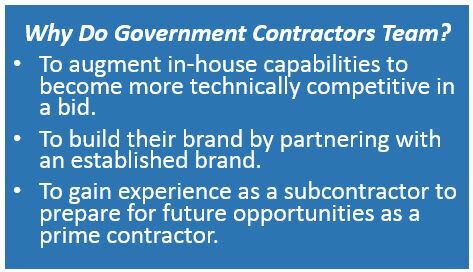 For many small businesses, teaming with a larger and more-established government contractor as a subcontractor may be a great way to gain experience and build a reputation with government agencies. Despite the many advantages of teaming, subcontractors can sometimes find themselves out in the cold if they don’t take the proper steps to assure inclusion once the contract is awarded. In fact, according to the American Express Trends in Federal Contracting for Small Businesses report, 31 percent of small business government contractors reported that they participated on a winning bid as a subcontractor, but the prime contractor never used them during the fulfillment of that contract. No need to be pessimistic! Many small businesses (including my own) have fruitful experiences teaming up as a subcontractor. Here are three ways to help subcontractors receive their share of a winning bid and put themselves on the path to more work. Back when the U.S. Congress was adopting the 2013 version of the National Defense Authorization Act (NDAA), it included directives to the Small Business Administration (SBA) to make changes to multiple rules pertaining to small business set-aside contracts and subcontracting. On Monday, May 31, 2016, the SBA published final rules in the Federal Register implementing each of these changes. The rule changes are wide ranging, amending SBA’s nonmanufacturer rule and affiliation rules, and for the first time allowing joint ventures to qualify as small for any government procurement as long as each partner to the joint venture qualifies individually as small under applicable size standards. All of the changes can be seen at: https://www.federalregister.gov/articles/2016/05/31/2016-12494/small-business-government-contracting-and-national-defense-authorization-act-of-2013-amendments. Affiliation. In the case of a solicitation for a bundled contract, a small business contractor may enter into a Small Business Teaming Arrangement with one or more small business subcontractors and submit an offer as a small business without regard to affiliation, so long as each team member is small for the size standard assigned to the contract or subcontract. This is a major change. Previously, small businesses risked losing small business status if combined employees or gross revenues exceeded SBA’ s size standards. This new concept applies to joint ventures as well. A joint venture of two or more business concerns may submit an offer as a small business for a federal procurement, subcontract or sale so long as each concern is small under the size standard corresponding to the NAICS code assigned to the contract. 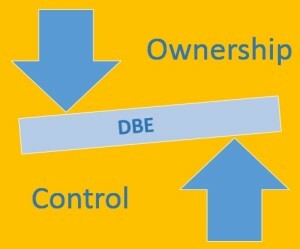 In addition, the new rule provides that firms owned or controlled by married couples — in addition to parties to a civil union, parents, children, and siblings — are presumed to be affiliated with each other if they conduct business with each other, such as subcontracts or joint ventures or share or provide loans, resources, equipment, locations or employees with one another. This presumption may be overcome by showing a clear line of fracture between the concerns. Other types of familial relationships are not grounds for affiliation on family relationships. Procurement Center Representatives. The SBA has Procurement Center Representatives (PCRs) located at federal agencies and military bases which have major contracting programs. Under the new rules, PCRs are to review all acquisitions that are not totally set aside for small businesses to determine whether a set-aside or sole source award to a small business is appropriate and to identify alternative strategies to maximize the participation of small businesses in the procurement. PCRs are also to advocate against the consolidation or bundling of contract requirements (which tend to adversely impact small business contract participation), and reviewing any justification provided by the agency for consolidation or bundling. This review includes acquisitions that are Multiple Award Contracts (MACs) where the agency has not set-aside all or part of the acquisition or reserved the acquisition for small businesses. It also includes acquisitions where the agency has not set-aside orders placed against MACs for small businesses. Also, for the first time, PCRs may receive unsolicited proposals from small businesses. They are to send such proposals to the agency personnel responsible for reviewing such proposals, and the agency personnel are to provide PCRs with information regarding the disposition of each proposal. 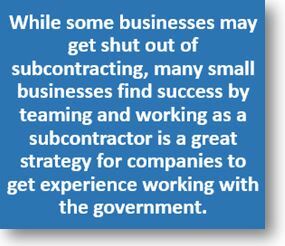 Subcontracting to Small Businesses. A prime contractor that identifies a small business by name as a subcontractor in a proposal, offer, bid or subcontracting plan is now obligated to notify those subcontractors, in writing, prior to identifying the concern in the proposal, bid, offer or subcontracting plan. Safeguards against naming a subcontractor that the prime really doesn’t intent to use are also strengthened. The new rules state that anyone who has a reasonable basis to believe that a prime or a subcontractor may have made a false statement with respect to subcontracting plans is to report the matter to the SBA’s Office of Inspector General. All other concerns as to whether a prime contractor or subcontractor has complied with SBA regulations or otherwise acted in bad faith may be reported to the Government Contracting Area Office where the firm is headquartered. Contractors who are judged to have acted in bad faith may be found to be in material breach of contract and subject to liquidated damages under their contract. (2) In the case of a contract for supplies or products (other than from a non-manufacturer of such supplies), it will not pay more than 50% of the amount paid by the government to it to firms that are not similarly situated. (Any work that a similarly situated subcontractor further subcontracts will count towards the 50% subcontract amount that cannot be exceeded.) Cost of materials are excluded and not considered to be subcontracted. (3) In the case of a contract for supplies from a non-manufacturer, it will supply the product of a domestic small business manufacturer or processor, unless a waiver is granted. (4) For a multiple item procurement where a waiver has not been granted for one or more items, more than 50% of the value of the products to be supplied by the non-manufacturer must be the products of one or more domestic small business manufacturers or processors. (5) For a multiple item procurement where a waiver is granted for one or more items, compliance with the limitation on subcontracting requirement will not consider the value of items subject to a waiver. As such, more than 50% of the value of the products to be supplied by the non-manufacturer that are not subject to a waiver must be the products of one or more domestic small business manufacturers or processors. (6) For a multiple item procurement, the same small business concern may act as both a manufacturer and a non-manufacturer. Contracts Set-Aside for Service Disabled Veteran Owned Small Businesses. Under the new rules, a joint venture comprised of at least one Service Disabled Veteran Owned Small Business (SDVOSB) and one or more other businesses may submit an offer as a small business for a competitive SDVOSB set-aside procurement, or be awarded a sole source SDVOSB contract, so long as each concern is small under the size standard corresponding to the NAICS code assigned to the procurement. All of these rule changes are effective on June 30, 2016. 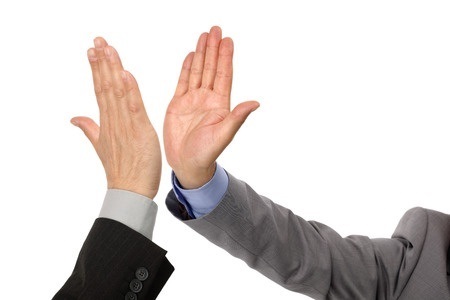 Contractor teaming strategy: Achilles’ heel or competitive advantage? With the increase in small business set-asides, capture managers and business development professionals would be wise to ask themselves an important question: Is our company’s teaming strategy an Achilles’ heel or a source of competitive advantage? More often than not a company’s teaming strategy — the process by which prime and subcontractors connect, bid, and execute work — is an afterthought instead of a key dimension of the company’s overall business strategy. As David Boyajian noted recently, small business set-asides have reached a 15-year high with set-asides representing “58 percent of the federal money obligated to small business in fiscal 2014.” In fact, for the second year in a row, the federal government hit its contracting goal for small business, according to the Small Business Administration (SBA) FY2014 Small Business Procurement Scorecard. Nearly 25% of all prime contracting dollars were awarded to small business in 2014, exceeding the federal goal of 23%. This trend makes teaming critical for small and large contractors alike — and an area that top-performing capture managers and business development professionals must master. It affects the entire federal contracting industry and companies have two real choices: 1) identify ways to capitalize on this trend by integrating teaming into their overall business strategy or, 2) adopt a passive, and surely less profitable, approach. Since the early 1960s, even before the passage of the Civil Rights Act of 1964, the U.S. government has been trying to find ways to give disadvantaged business enterprises (DBEs) a piece of the gigantic federal contract pie — almost $450 billion in 2014. Also commonly called WBEs (women-owned) and MBEs (minority-owned), they all refer to businesses, which, by virtue of ownership, historically have been shut out of federal contracting opportunities. State and federal agencies typically set required DBE participation goals at 5%-10% and up, meaning that there are tens of billions of federal dollars up for grabs. In 2015, federal construction spending, according to the Associated General Contractors of America, will total almost $106 billion, resulting in a potential $10 billion payoff for firms certified as disadvantaged. Of course there is, for some, the temptation to commit fraud in order to gain access to these lucrative contracts. Three Pennsylvania steel company executives pleaded guilty in October to setting up a sham DBE in order to win nearly $19 million in U.S. Department of Transportation and Pennsylvania Department of Transportation contracts set aside for disadvantaged businesses. With all that money at stake, one would think minority and women-owned businesses are filling federal offices, demanding to be certified and eager to participate. So why aren’t they? Construction industry experts say there is a shortage of certified DBEs, and that means it’s getting harder to meet federal agency DBE participation goals. In the big business of government contracting, it is common for competitors to also be teammates for a period of time. Team arrangements can encourage innovative solutions, promote competition and allow contractors access to corners of the market that might otherwise be closed. Team arrangements between contractors also can result in significant profits to each contributing company, as well as increased capability and know-how that can be leveraged by each contractor for future projects. The potential benefits, however, do not come without risk. Absent a carefully thought-out agreement, parties may find themselves in a situation where competitors turn on each other. The Georgia Tech Procurement Assistance Center (GTPAC) is hosting a seminar on the subject of Teaming Agreements on Wednesday, November 4, 2015, from 1 to 4 pm. The program, entitled “The Risks and Rewards of Teaming Agreements,” will be conducted by representatives of the Gorby/Peters Law Firm. Teaming agreements can make or break a business. This 3-hour program is designed to help new and experienced business owners understand the various types of teaming structures, the state and federal laws that impact teaming relationships, and the most common teaming agreement clauses that create risk (or shift rewards) for the parties. The seminar will be conducted by Mary Donne Peters, a former federal prosecutor; Amy C. M. Burns, a former senior attorney at the Georgia Attorney General’s office; and Mike Gorby, an experienced litigator, author and lecturer. This seminar is free of charge, but preregistration is a requirement. To register, click here, and then hit the “Sign Up” button. The questions thrown about the conference rooms and offices of government contractors around the Beltway and across the country are the same: What’s our proposal strategy? Our pricing strategy? What’s our staffing plan? These are the critical questions that small and large contractors should be asking themselves before the solicitation is even issued. Thinking about these questions before the solicitation is issued is the hallmark of effective capture and increases the company’s probability of winning the work. The Department of Veterans Affairs (VA) is holding its 2014 National Veterans Small Business Engagement (NVSBE) conference on December 9-11, 2014 in Atlanta. The VA conference is designed to help small businesses — especially veteran owned and service-disabled veteran owned small businesses (VOSBs and SDVOSBs) — expand contacts and build partnerships to maximize opportunities in the Federal and commercial marketplace. 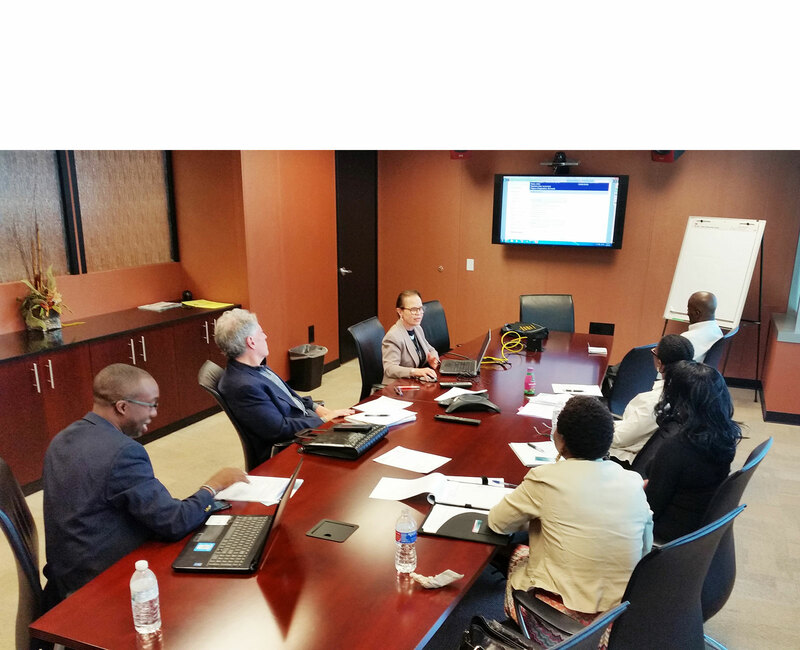 This event connects small businesses with government and commercial procurement decision makers (PDMs) interested in working with VOSBs. In addition, the VA is planning to expand the attendance of commercial customers looking for VOSBs, and match Federal requirements with VOSB capabilities. Engage with PDMs from Federal and commercial customers to build relationships to enhance your chances of winning procurement contracts. Learn about Federal and commercial opportunities specific to your industry at Business Requirement Sessions led by PDMs. Take part in Networking Roundtables to personally demonstrate and pitch your business capabilities to PDMs from Federal agencies and commercial customers. Network with other businesses to discover subcontracting and teaming opportunities. What learning sessions would you like us to provide? Registration begins September 1, 2014. For more information about NVSBE, visit www.nvsbe.com. Feel free to email your feedback and questions to NVSBE@va.gov.